What’s good? I've barely started my relationship with these boots but TCX used to be Oxtar and I had a pair of them for two years without trouble. These sit on the stiff, creaky, protective end of the spectrum. The plastic loop from ankle to lower calf keeps things pretty rigid which is exactly right for a bike without compromising ankle movement. 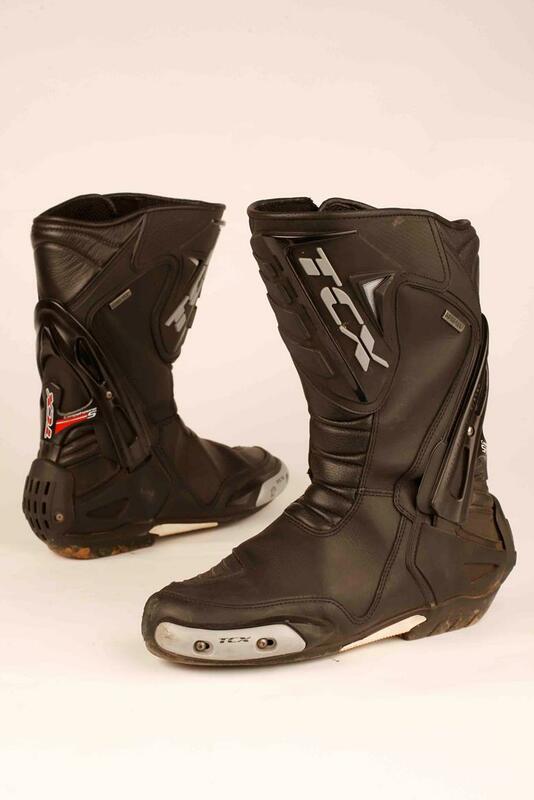 You get plenty of race-developed armour, replaceable toe sliders and magical Gore-tex. You only want to buy one pair of boots and for most of us something like these are the best compromise. What’s not? They’re not casual wear (nor should they be) and the TCX website is deeply irritating.